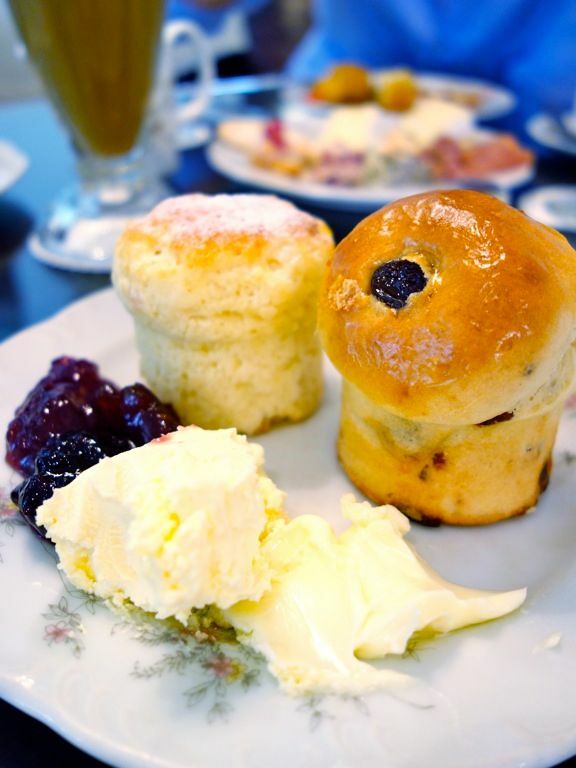 Fancy English Afternoon tea with dainty finger sandwiches and bites in a colonial setting? YES PLEASE. 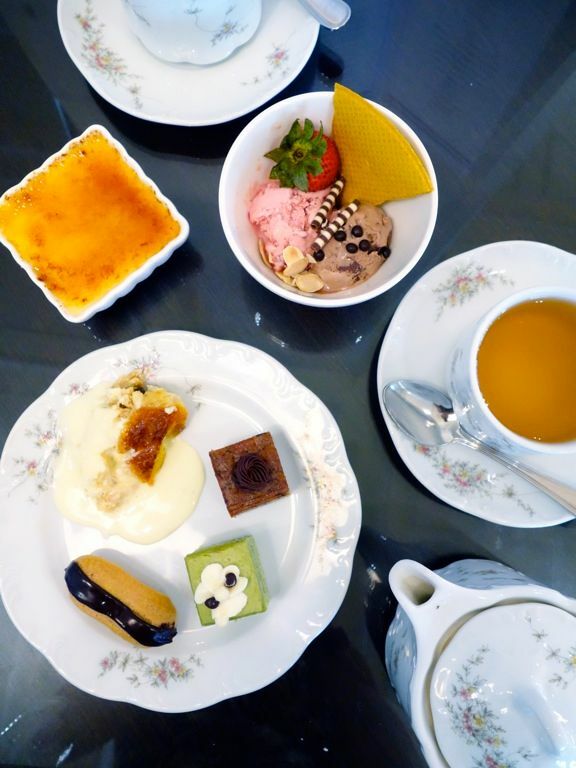 While we were on our staycation at Goodwood Park Hotel, we couldn't help but be tantalized by the sight and smell of these gorgeous savory and sweet delights at L'Espresso. Say goodbye to the plain 'ol cucumber sandwiches and hello to a whole range of interesting sandwiches. How about Meatloaf & Zucchini Piccata; Turkey Ham with Granny Smith Apple & Cheddar; Smoked Pork with Emmental Cheese & Orange Marmalade; Peppery Beef pastrami with Gruyere Cheese & Sauerkraut? If that sounded interesting, wait till you see the little open-face sandwiches. Here we have the Duo of Smoked Salmon with Avruga Caviar; Croissant with bacon and avocado apple; Blue cheese with Fig & Quince Jelly; Spiced Chicken Roll with Potato Crumble and Sour Cream. 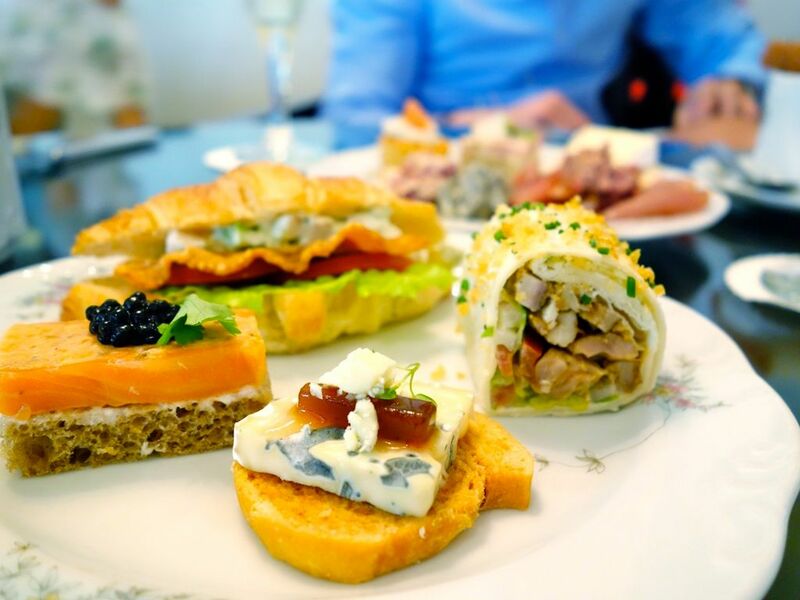 In particular, the Crabmeat salad with avocado & tomato salsa in Vol-au-vent (a light pastry puff), and the salami & truffle mille-feuille should not be missed. 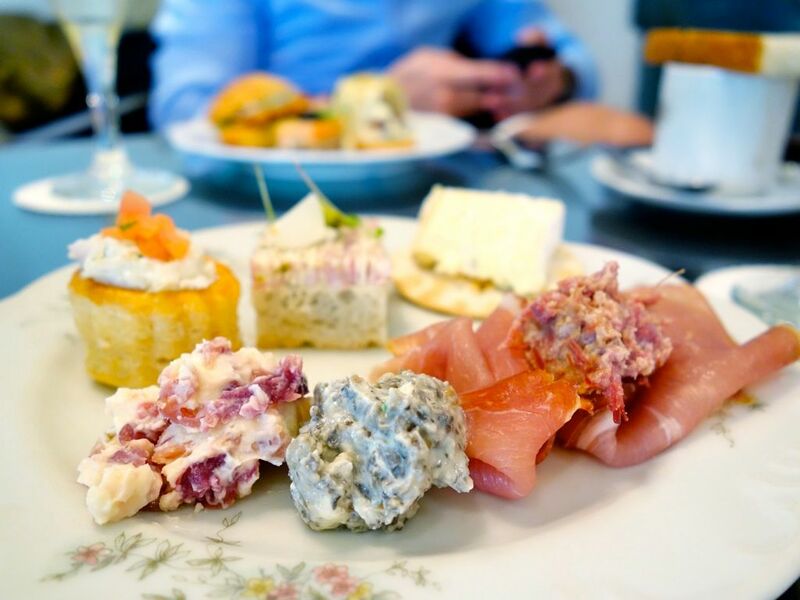 Other than the regular cold cuts, there's also the creamy spreads like the sweet-ish Emmental with Cranberry & Walnut, and the earthy and fragrant Truffle Mushroom. The Duck Rillette didn't fare that well due to the lack in flavor. Lovely flavors were packed in the hearty Beef Goulash served with brioche. 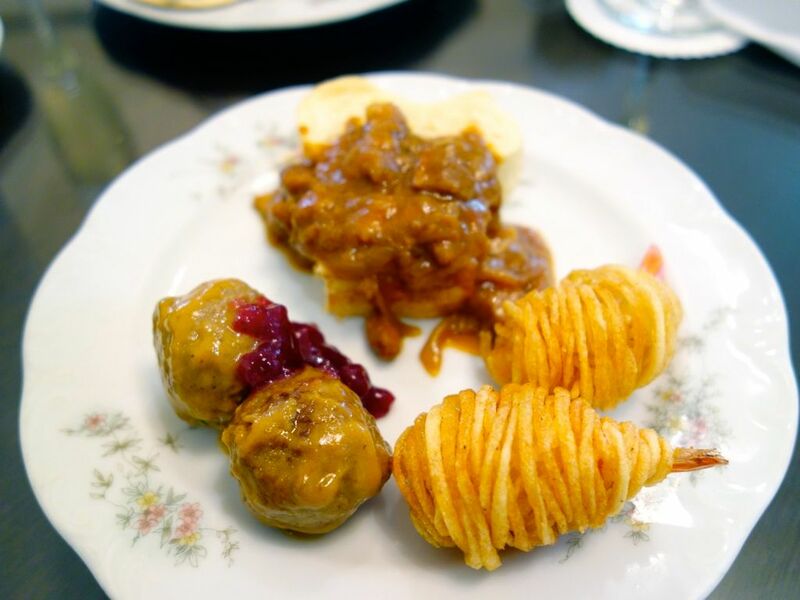 There's also that Swedish meatballs that reminded us of what Ikea used to serve. Other fried bites like popcorn chicken or this shrimp and rosti puff. I was super excited by the scones but they failed me. Texture wise, they were more like tea cakes, lacking in the much required density. Well.. 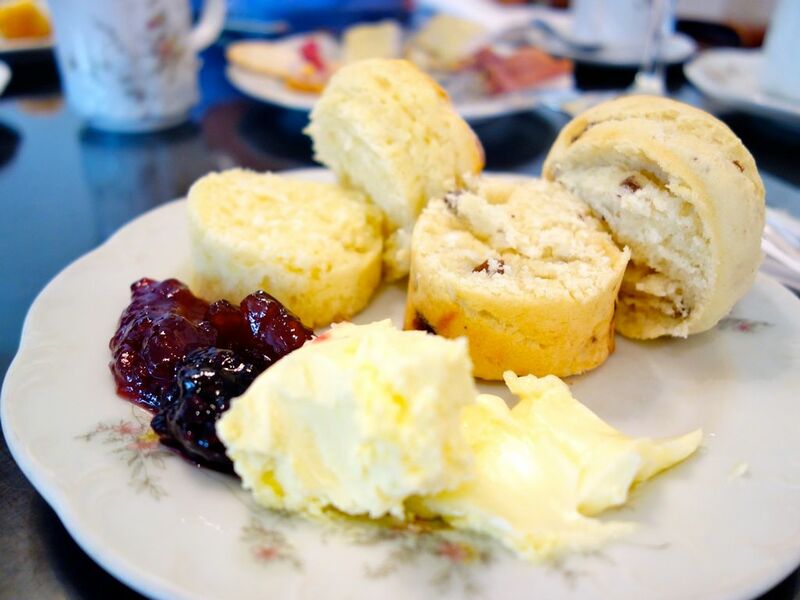 I still managed to eat.. say 3/4 of a scone, with lots of that glorious clotted cream (thank god) and that emmental cranberry spread. The jams were just too sweet and lacking in distinct flavors of the fruits. I couldn't distinguish them. Save some tummy space for the delightful Bread and Butter pudding, Passionfruit meringue tart, banana cake, and Movenpick ice cream. 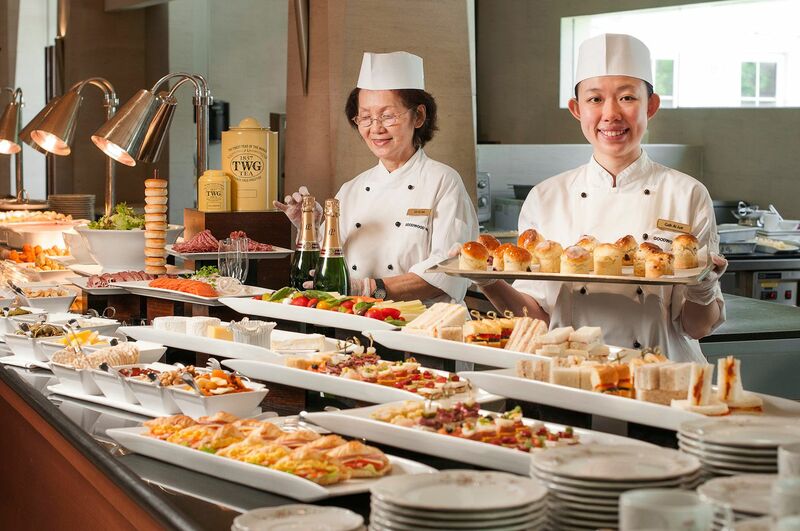 If local fare is more your thing, the Coffee Lounge Local High Tea buffet spread offers more than 20 popular local snacks, mains and desserts like DIY Kueh pie tee; Chicken curry; Fruit rojak; Laksa, Nonya Kueh and hot dessert soups. 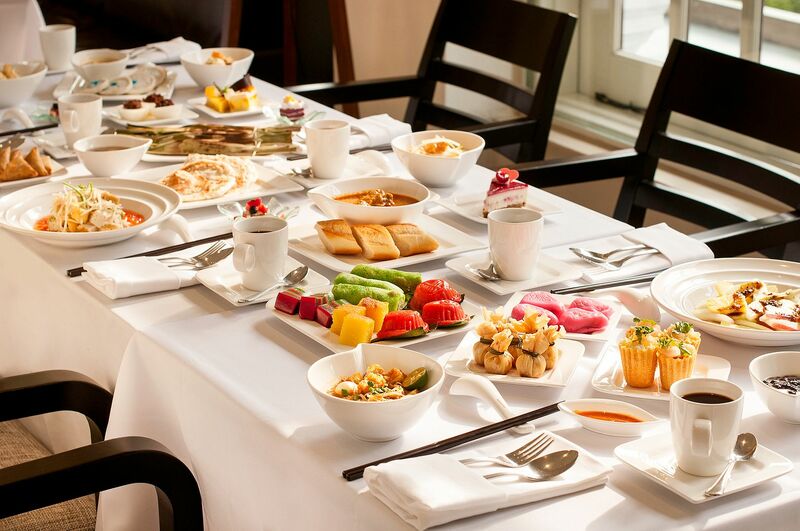 An additional assortment of delicious dim sum such as Har gow (shrimp dumpling); Siew mai (chicken dumpling); Char siew bao (BBQ pork buns); Pork ribs with black bean sauce; Scallop dumpling; Steamed chicken claws with gui lin sauce; and Charcoal custard buns is also available. 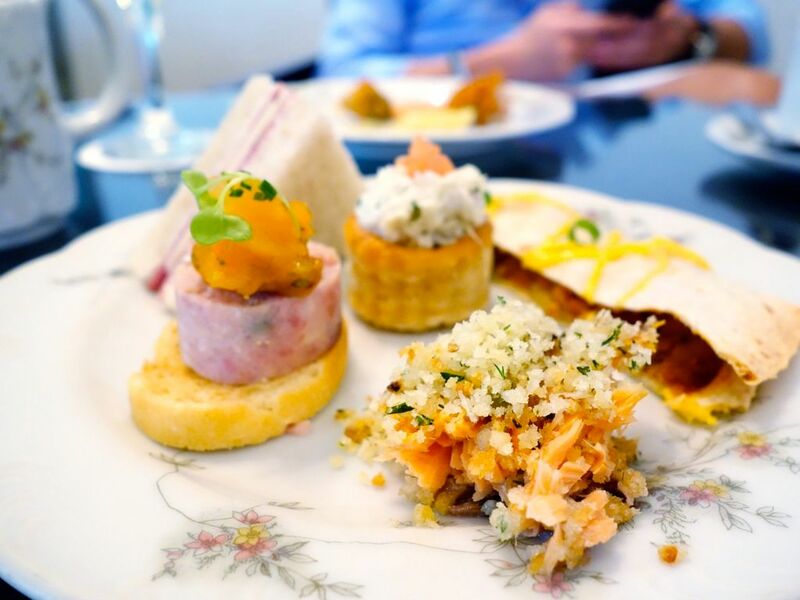 Now now, GWP is having a 4-for-3 High Tea Promotion at L’Espresso’s English Afternoon Tea buffet, as well as Coffee Lounge’s Local High Tea buffet and. One adult or child dines free for every three paying adults during this limited period till 14 Aug 2016. I say, round up your girl squad (boys are welcomed too) for this! Another promotion that I'd not miss would be the Set Lunch Menu with Dim Sum at Min Jiang! 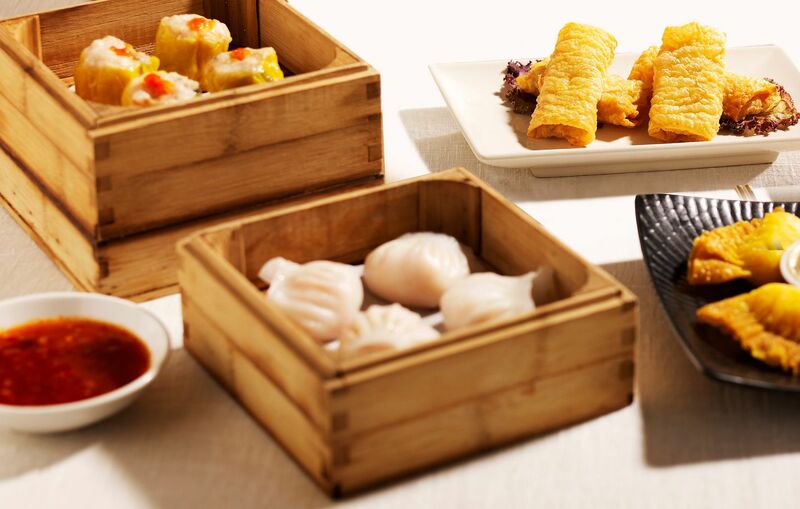 Till 14 Aug, they are also offering unlimited servings of selected dim sum served alongside expertly-executed classic Cantonese and Sichuan dishes! You also get one serving each of dishes such as Min Jiang hot & sour soup with seafood wanton; and stir-fried prawns with cashew nuts. Yums! $45/48 ($68/72 with champagne) per pax. Set Lunch $38/48 per pax (min 2pax).